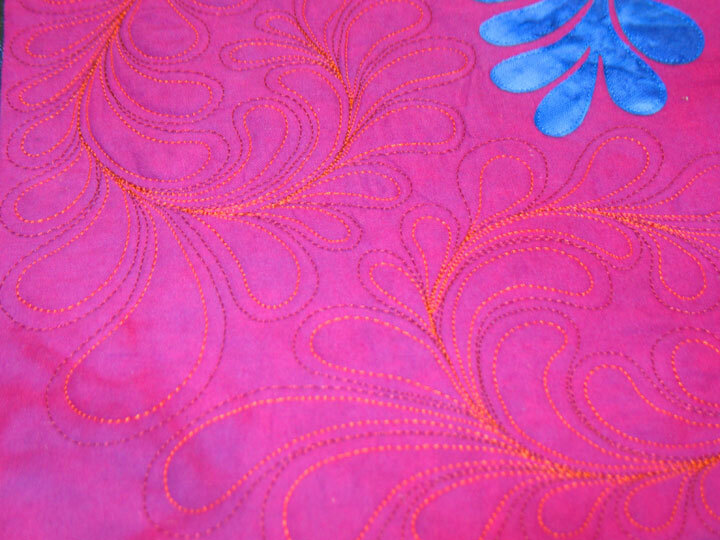 On close-up looks like you stitched inside and outside each plume design….did you break thread each time??? That would be an awful lot of thread breaks!!! But that’s what it looks like… hmmmmm…curious minds want to know. 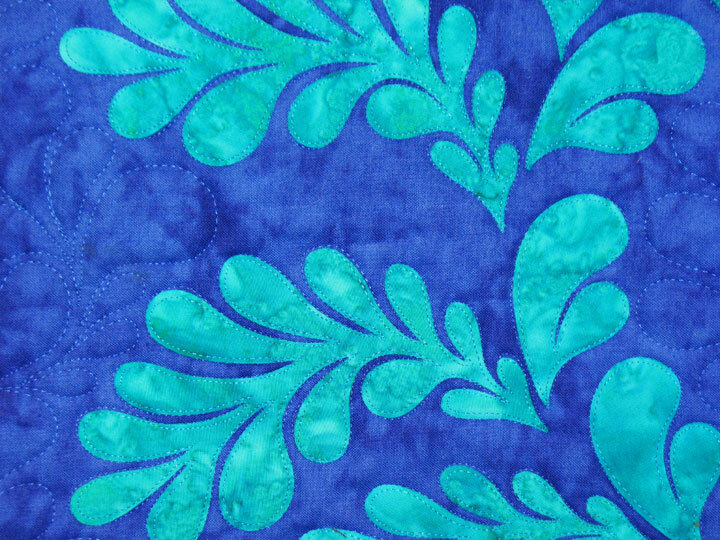 Filed under Appli-K-Kutz Fabric Cutting Dies, Free Motion Quilting, Sizzix. Patsy, it looks great! 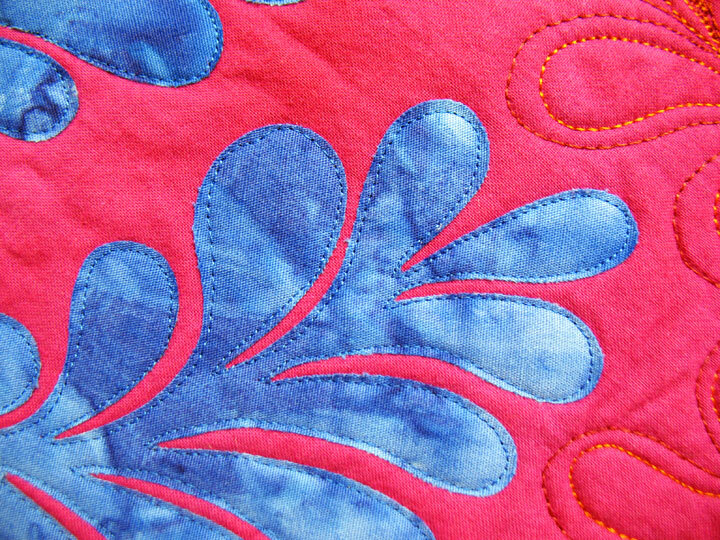 Your thread colours really make the quilting pop, not overstated, but definitely compliments the quilt itself. 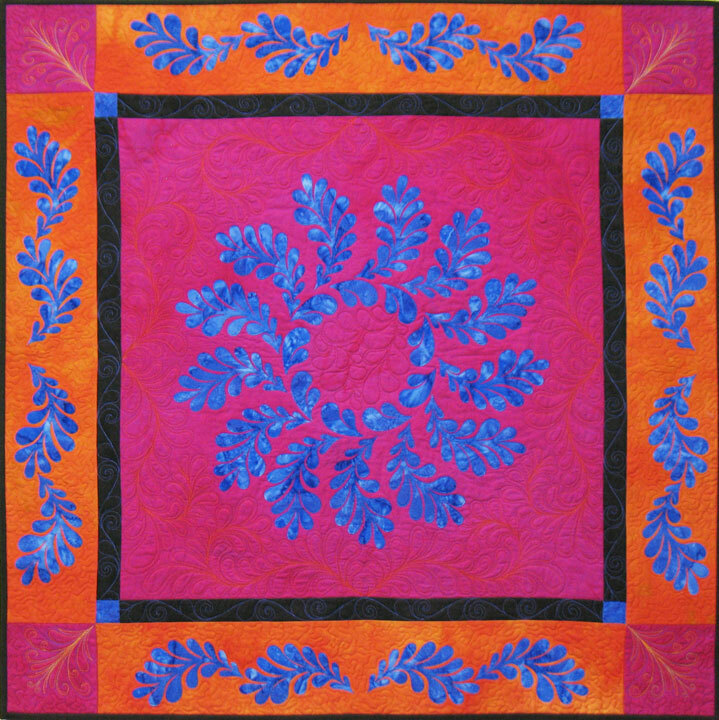 Spectacular quilt. Delightful on the mind’s eye. 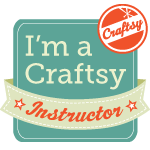 I hope you are taking it to show at Quilt Market. Love it! 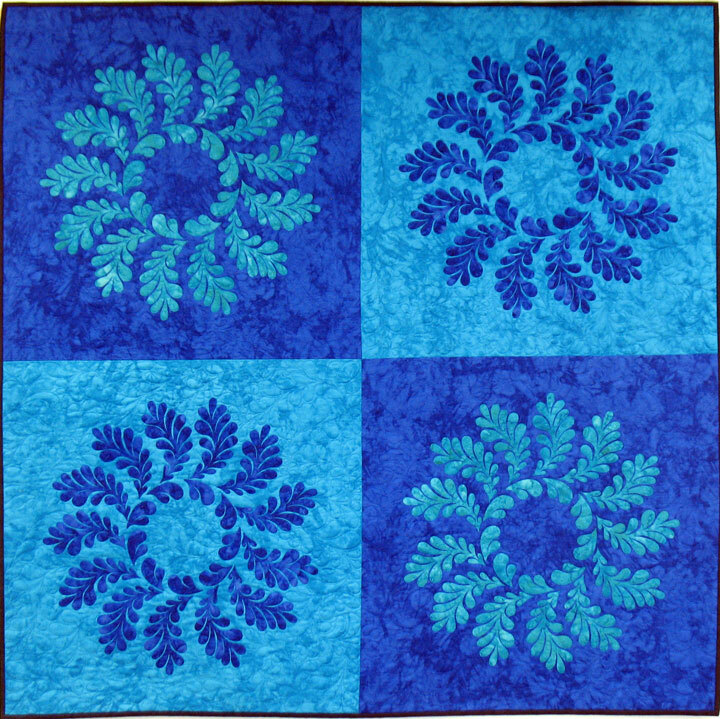 I adore this quilt!!! 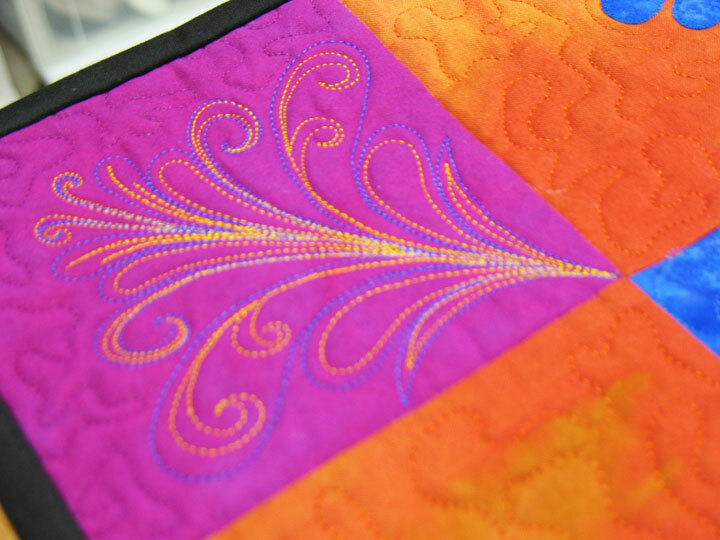 Everything about it speaks to me… from the feathered patterns quilted, to the bright color contrast fabrics, to the appliques….the “curvyness” of the quilting designs, against the squareness of the quilt…LOVE IT! 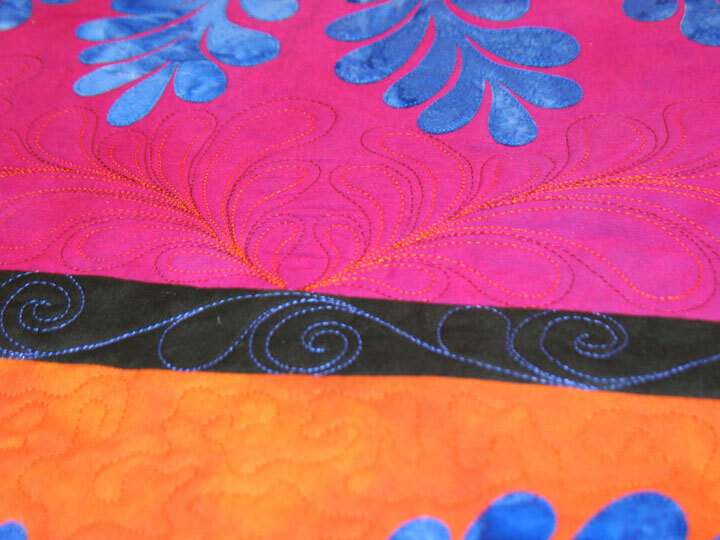 I really like all the different colors you’ve used on the quilting. A bold step for me to even think about. Just beautiful!